Caroline Goulding is a cake designer based in Ranelagh, Dublin. She attended our 12 Week Course in 2008. From as early as she can remember, she was baking and loved to try new recipes and combine unusual flavours. 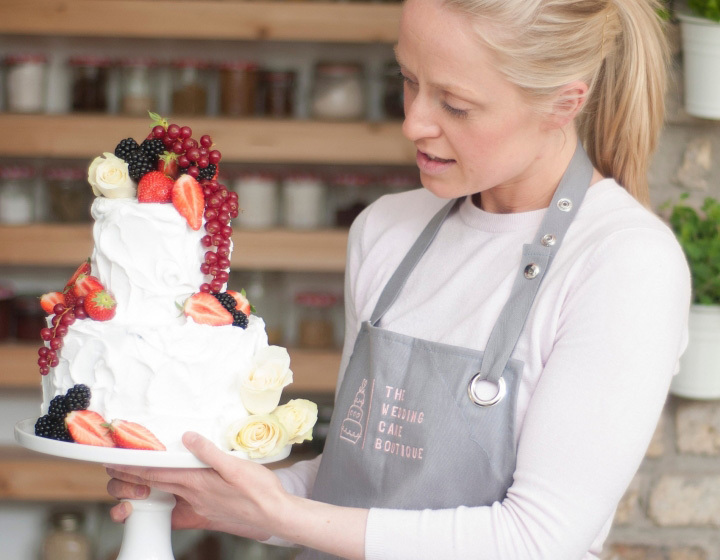 Caroline established two cake design businesses in Dublin, The Wedding Cake Boutique in 2014 and Caroline Goulding Cake Design (occasion cakes) in 2016. At TWCB Caroline designs bespoke wedding cakes whereby she says her style is “where abstract meets elegance” and in 2017 designed the wedding cake for former World No. 1 Irish golfer, Rory McIlroy and Erica Stoll.